The request, perhaps Mrs. Palin’s most bizarre to date, was first seen as a hoax, but was later confirmed when the former FOX News commentator and best-selling author repeated her demand via phone interview from her home. When informed that the Borders Bookstore chain has been out of business for nearly 4 years, Palin remained steadfast in her demand for closure. Palin expressed her solidarity with presidential candidate Donald Trump, and the growing list of US governors who seek to halt Syrian refugees from entering the US. 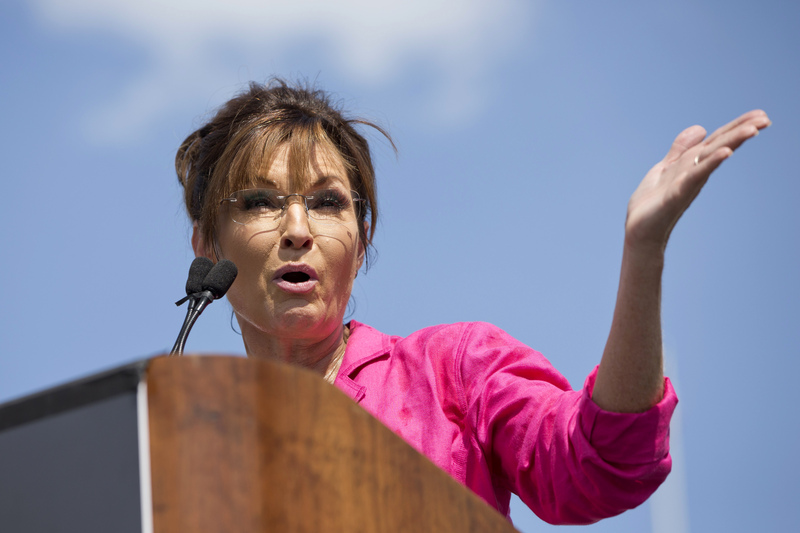 “Donald Trump is the only one who’s out there, and who takes these things seriously,” added Palin. “I’ve put in several calls to his organization and sent him hand-written reports with graphical charts I’ve gardnered detailing the so-called inactive Borders sleeper cells, because I know he’s the guy who’ll put the petal to the metal. We don’t need any dangerous boarders crossing over into our borders,” Palin said, with her trademarked wink. 2 Responses to "Sarah Palin Calls On Obama to Close Borders Bookstores"
Her trolley has jumped the track.